The physical and mental strength of an 11-year-old African-American girl coming of age and learning her limits in Cincinnati is beautifully rendered in Anna Rose Holmer's debut narrative feature, set in the world of competitive dancing. It doesn't follow the formula of mainstream dance movies and features very little dialogue, instead communicating much about the process of forming friendships through flowing choreography that moves with haunting swagger and elegance. Royalty Hightower is superb as Toni who becomes fascinated with a dance troupe she encounters while helping her brother Jermaine (Da'Sean Minor) out at the boxing club he manages in the same building. Until this point she has been happy training alongside him, but the sudden urge to hang out with girls and learn about their strange customs compels her to audition as a dancer. At first, learning the moves is fun, with Toni awkwardly shaking her limbs in an endearingly sweet reminder of the innocence of youth but, as the girls start to suffer from mysterious seizures, our protagonist starts to question the cost of fitting in. Holmer conveys Toni's inquisitive mood through loud noises and swooping camera movements that give the film a woozy, dreamlike quality. She is so used to the quiet of the boxing ring that the way the girls screech down hallways – oblivious to the jolting nature of their cacophony – catches her completely off-guard, although she soon succumbs to the rush. Such sounds act as a joyful anthem to this celebration of girlhood and its many different guises. The girls welcome Toni into their fold but her outsider status stops her from obediently following the pack and Hightower ably expresses her character's bemusement at their pouts and stomps. It's impressive how much emotion and passion Holmer fits into the lean 72-minute runtime, and the fact that she ends it all on a gloriously imaginative high further marks her out as one to watch. 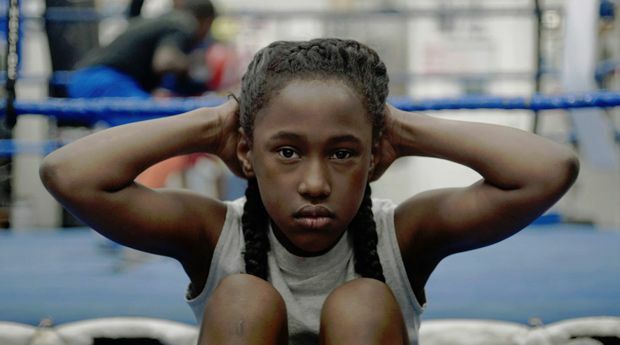 Limited release from Fri 24 Feb.
Toni (Hightower) is an 11 year old African-American girl who becomes fascinated with a dance troupe at her brother’s boxing club; but the dancers then start having mysterious seizures. Beautifully rendered, gloriously imaginative coming of age story about the process of forming friendships; Hightower is superb.